This time last year I thought we’d had our last summer before we moved. But, we were granted one last summer, and it’s been a summer of wonders. Knowing that it was our last summer before relocating overseas has tinged everything with gold, as if fairy dust had been sprinkled from up high to make the normal and routine seem just that little bit more special than it did in other years. Since school ended we have spent only 3 nights in our own beds at ‘homehome’. Since Boxing Day we have been in our beds at ‘morehome’ which is our family word for our holiday house. (These terms were invented by Miss 8 when she had limited vocabulary and wanted to describe our holiday house. ) So, it’s been a long summer of two halves. The first bit of the summer the girls and I spent in NSW visiting my family. They spent hours playing with their cousins. I’m not sure what it is about cousins but the relationship just seems to be such an easy one. The competitiveness of siblings is missing, and there’s a family connection that binds cousins that friendships lack. They had not seen their cousins in almost 20 months (and Miss 4 could not remember them) but they picked up where they left off. Games were played, hours were spent in the pool and a dance was choreographed to a Miley Cyrus tune (this was not so much a highlight!). They will miss their cousins. And I will miss seeing them with their cousins. But opportunity calls. We popped homehome briefly for Christmas, and on Boxing Day decamped to morehome. We have had one last summer of virtually no plans. Waking up and seeing where the day takes us. Our last summer has brought us long lunches with friends, glorious afternoons at the beach on boogie boards, lazy mornings, bike rides, tree climbing, endless hours reading on the back deck and a sense of restfulness that was sorely missing after the trials (and joys) of the previous twelve months. We all have sun-kissed skin (despite rashies and SPF 30+). 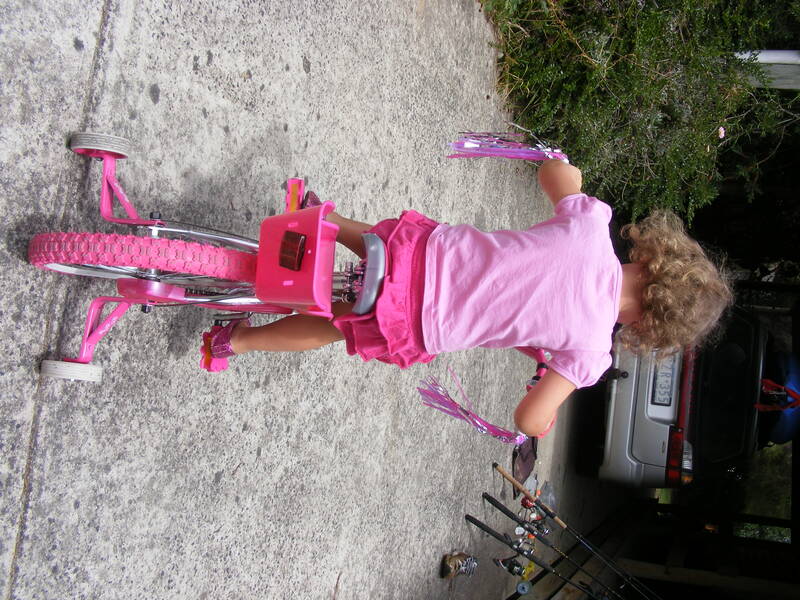 The Little Missy has learnt to ride the bike Santa brought her. 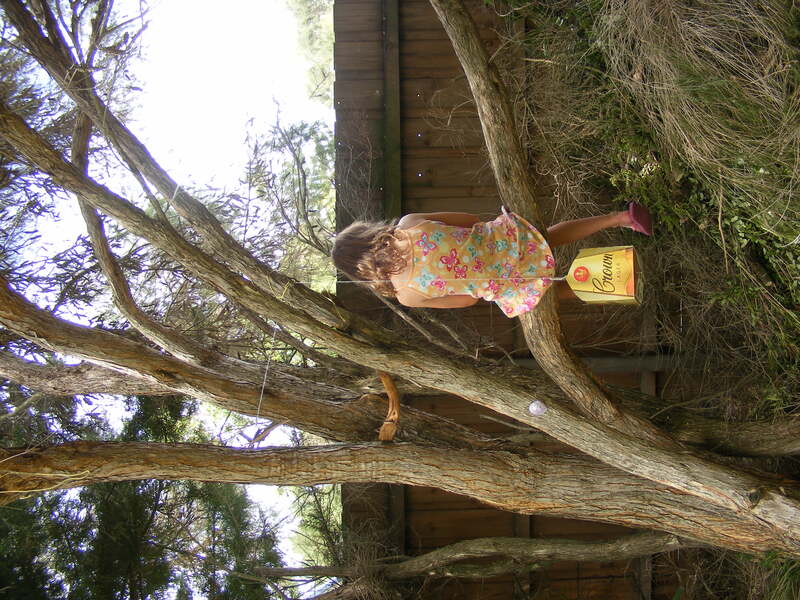 The Big Missy has taken to reading her book in the tree house she built-in the ti tree. Despite drinking far too much creaming soda and eating far too many Sunnyboys, they have both lost weight (not that either of them needed to) and built muscle from all their time outdoors. They are healthy and vibrant and living in the day as kids should. In his last summer the Other Half has fished, kayaked, drank beer, and fished a little more. I have had a last summer of reading, tweeting, reading, learning how to make pasta, reading and enjoying my family. Of course, it’s not it’s our last summer EVER, but it’s the last summer as we know it for a while. Our memories of this, our last summer – our golden summer – will burn bright for a very long time. I am truly thankful that we got to spend one last summer here. This entry was posted in Summer by KJ. Bookmark the permalink. This is a beautiful but sad post…it’s like the autumn of reality is creeping in & stealing the best part of the past 12 months from under your noses..
You will re read this post in Singapore and weep. By then, though, you will have made the great leap of cultures and countries. With your relaxed and organized outlook on this family life opportunity ..it will be GREAT. Love the photo in the tree. Am pleased you had such a laid back summer – stuff of family memories. And might help fortify you for the stuff ahead. But I really love that photo!